Notes: the old man with an electric massager cut both ways The longest with 20 minutes_Ruian Remex Fitness Equipment Co., Ltd.
Now living standards improve, people's life is around by all kinds of electronic products, in addition to the usual computer mobile phone, all kinds of massage instrument has become the order of the day, there are some young people for their home the old man to buy all kinds of massage equipment, massage chairs, foot vibration meter, the waist, neck, etc., these really good for the old man, is a weakness, of course, if the time is too long could backfire, some chronic diseases, the old man, is not easy to use. 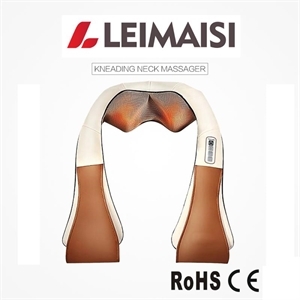 All kinds of massagers principle is the same, in the high frequency mechanical vibration stimulating massage to human body, promote stimulated parts of the blood circulation, accelerate the site tissue metabolism, thereby gaining fitness effect. Different parts of the elderly is ageing, mostly have osteoporosis/vascular aging body function degradation phenomenon. 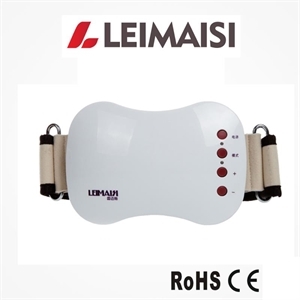 More commonly is given priority to with vibration massage massage equipment, long-term use can stimulate the soft tissue of old people, and even cause vertebra small joint dislocation. The old man use massager should pay attention to the following points. 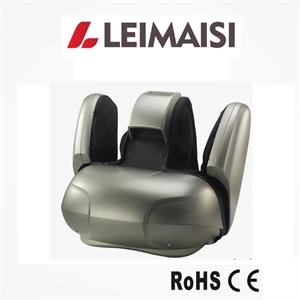 One is should choose rapid vibration frequency, vibration strength weak electric massager, and electromagnetic massager slow due to the vibration frequency, vibration intensity is larger, more suitable for young people in use. The second is to use time shoulds not be too long, to adjust the massage intensity and frequency, from light to heavy, from less to more. Time had better control in 20 minutes at a time, in the morning and one can. Three is to pay attention to using method. 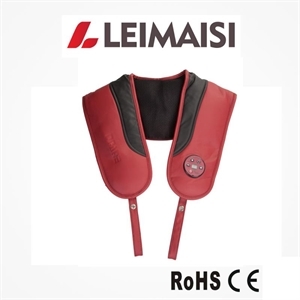 The massager arm to be more flexible, don't hold it too tightly, vibrating head can not press the skin, everything should be in nature, it is advisable to feel comfortable; If use a stop vibration, temperature is too high, the abnormal phenomenon such as abnormal sound, should immediately stop using it. Four is to pay attention to timing. In order to avoid adverse consequences, in fasting, satiety, drunk and after strenuous exercise electronic massager is strictly prohibited. At this point massage can make further accelerate the speed of blood flow velocity, the stomach smooth muscle peristalsis, easy to cause nausea, vomiting, chest distress and discomfort. 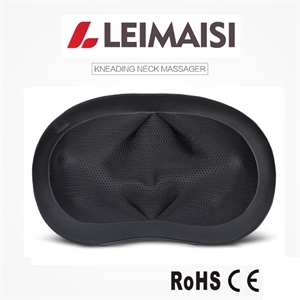 With chronic diseases such as heart disease, high blood pressure, osteoporosis and weak old people should not use massager. Patients with high blood pressure don't massage in their neck artery place, especially in order to avoid the blood flow speed vascular accident; Thin weak because of subcutaneous fat thin, if direct massage joints, easy to stimulate the periosteum, cause damage and aseptic inflammation; With furuncle carbuncle or cancer of the old man also should not be used, the stimulation of body surface will expand capillaries, local blood flow increase, easily lead to the spread of the lesion site and aggravating illness. 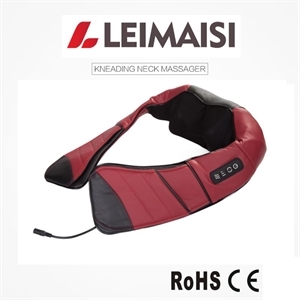 And skin diseases, infectious diseases, lymphadenitis, blood disease patients to be cautious with more electric massager.